Ellery Queen—two magic words for lovers of classic detective fiction. For me—an avid fan of the genre—despite Queen’s over thirty detective novels, numerous broadcast scripts, and scores of short stories (including the longish and magnificent “The Lamp of God”), the main impact Queen (mostly Frederic Dannay) had on the detective-fiction genre was as editor—of numerous acclaimed anthologies of short stories, and of Ellery Queen’s Mystery Magazine, which is still thriving over seventy-five years after its inception in 1941 and over thirty years after Dannay’s death in 1982. Most critics agree that Queen, as editor, was the single most significant factor in preserving and nurturing the detective short story through the “dark years” into the present. In the 1940s, when the popularity of the detective story was waning and the periodicals in England that published it (such as the Strand, Pearson’s, and Argosy) were closing up shop, “there was a gleam of light from across the Atlantic. The steady flame of Ellery Queen was alive” (Michael Gilbert, “EQMM” in The Tragedy of Errors)—and it burned especially bright in EQMM and the early anthologies. For me personally, Queen’s anthologies, especially 101 Years’ Entertainment (judged by many to be the finest detective-crime short-story anthology ever produced) and its follow-up, To the Queen’s Taste, introduced me to the wider world of detective short stories, for my adolescence and early teenage years were pretty much limited to Sherlock Holmes, Father Brown, Hercule Poirot, and Uncle Abner—resplendent and thrilling literary detective companions indeed, but (as I discovered from the Queen anthologies) only the detectival tip of the iceberg. It was through 101 Years’ Entertainment that I “awakened” to such luminary sleuths as The Thinking Machine, The Old Man in the Corner, Arsene Lupin (burglar and detective), Dr. Thorndyke, Max Carrados, Susan Dare, Roger Sheringham, Professor Poggioli, Reggie Fortune, and Prince Zaleski. As the years passed, I discovered numerous other Queen anthologies, and finally, in the dusty stacks of a San Francisco used bookstore, I came across the treasure trove that was EQMM. For so many readers like me, for detective-story authors, and for the entire detective-crime short-story genre, Queen (especially Dannay as editor of EQMM) was the champion, protector, promoter, preserver, and inspirer. In EQMM and the early anthologies, the works of the detective-story Masters were brought back to the public’s attention and affection (almost 700 stories published), while novice detective authors (over 550 of them) were provided a stage and an audience (to say nothing of a warmly supportive but serious critical voice). The genre survived and thrived because of Queen. So many authors were nourished and developed, and so many readers were cultivated and enthralled, not only by the selections in the anthologies and in EQMM but also by Dannay’s accompanying commentary—a veritable literary history on its own! A book of just the commentary in EQMM over the years would be a wonderful tribute to Dannay as well as a valuable and fascinating history of the detective short story genre. 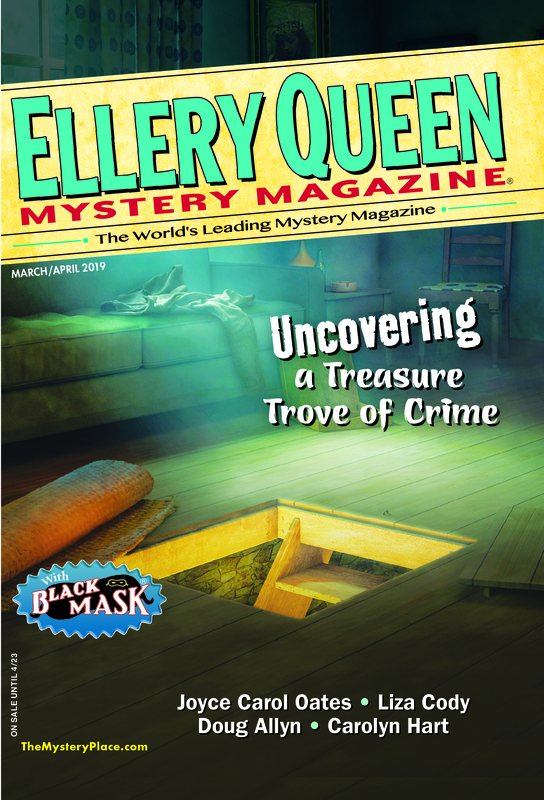 And, of course, Queen is not a secret—the sales of his numerous novels, short-story collections, and anthologies has reached astronomical figures, and EQMM is still the most acclaimed and honored detective-story magazine under the editorship of Janet Hutchings. However, despite these sales, Nevins’s biography The Art of Detection, and some wonderful articles, blogs, and websites, some of which give detailed looks inside Dannay and Lee’s professional and personal lives, I didn’t think that Queen’s enormous contribution to the detective-crime short-story genre had ever been sufficiently acknowledged and documented, so this was the intention and motivation behind my monograph: Frederic Dannay, Ellery Queen’s Mystery Magazine, and the Art of the Detective Story, which covers the years of Queen’s greatest influence from the first anthology in 1932 and the first edition of EQMM in 1941 until Dannay’s death in 1982. In researching for this book, I thoroughly enjoyed re-reading my large collection of EQMM and Queen anthologies, following the threads of the enormous influence Queen had on the genre, its authors, and its readers. Dannay’s extensive commentary (especially in issues of EQMM in the 1940s and 1950s) was often at least as interesting as the stories it accompanied. I was amazed at the number of “Masters” he encouraged to write new stories (and sometimes even to create new detectives) and at the number of now-famous authors he “mid-wifed” and “baptized.” Writing this monograph involved me in a couple of years of unadulterated joy and admiration for Ellery Queen and his unrelenting passion for the detective-crime short story and his devotion to its survival and health. I hope that the joy and the admiration are evident in my book, for they both continue unabated and undiminished to this day and will accompany me as cherished friends into my old age. This entry was posted in Books, Editing, Ellery Queen, Genre, Guest, Magazine, research and tagged detective fiction, ellery queen, ellery queen's mystery magazine, eqmm, frederic dannay, history, short story, writer. Bookmark the permalink. This piece certainly whets my appetite for the book!